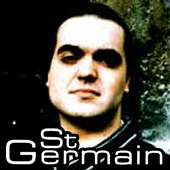 St. Germain has a real soulful groove, that can be hard to shake. St. Germain is the stage name of Ludovic Navarre, a French musician. His style has been described as being a combination of house and nu jazz music. He has released EPs under a number of aliases, among them Deepside, LN’S, Modus Vivendi, Nuages and Soofle. St. Germain is not associated with the Saint-Germain-des-Prés Café compilation series, though his song “Deep in It” is featured on its “Volume 1”. His song “Rose Rouge” was recently featured in the official movie trailer for Joss Whedon’s Much Ado About Nothing.